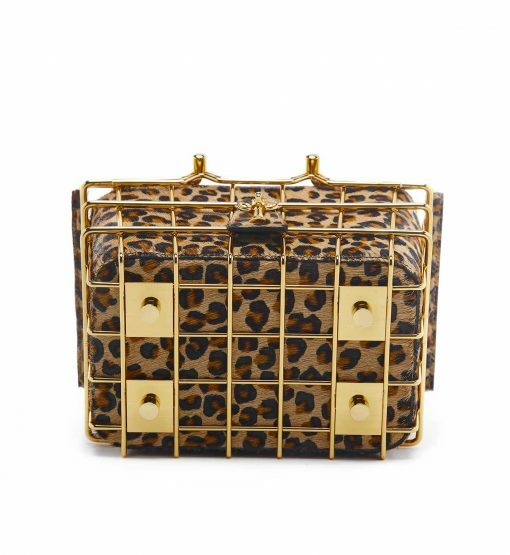 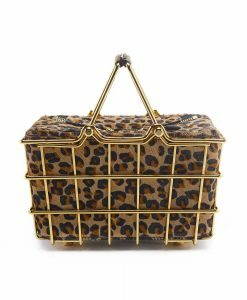 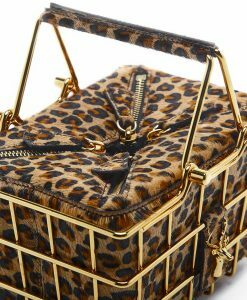 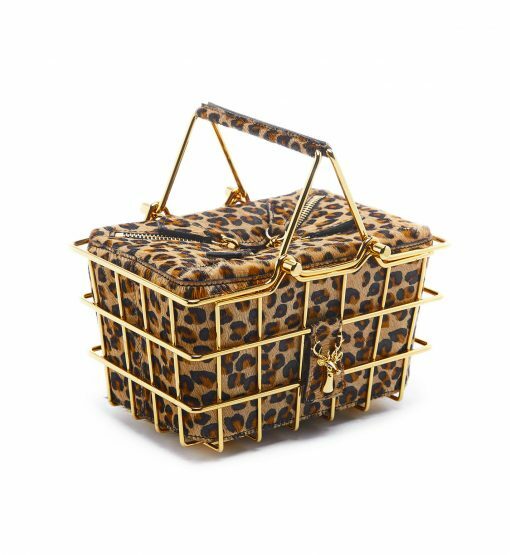 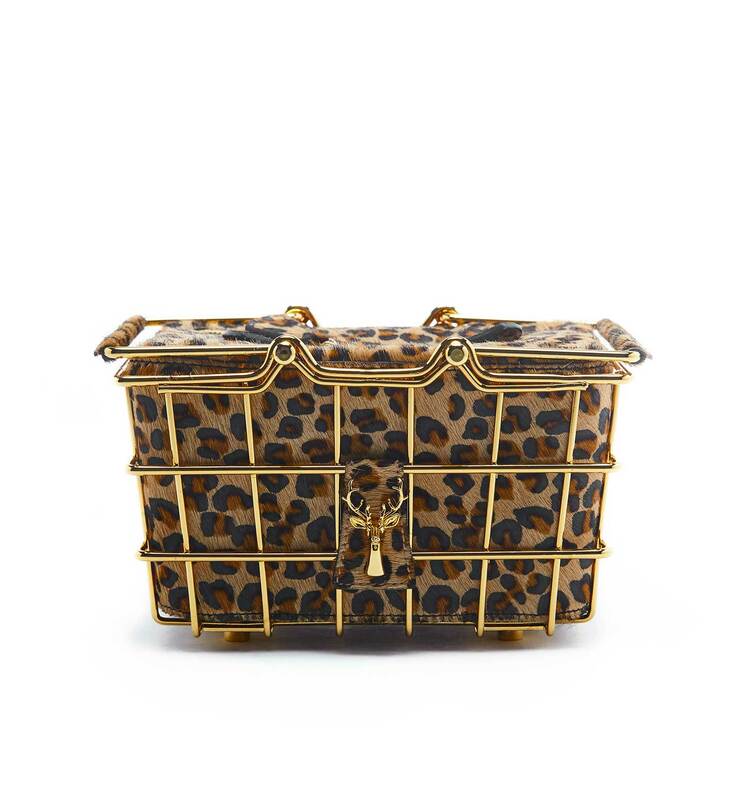 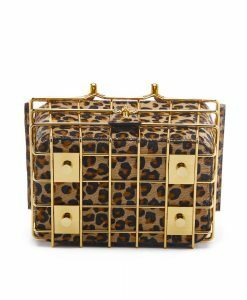 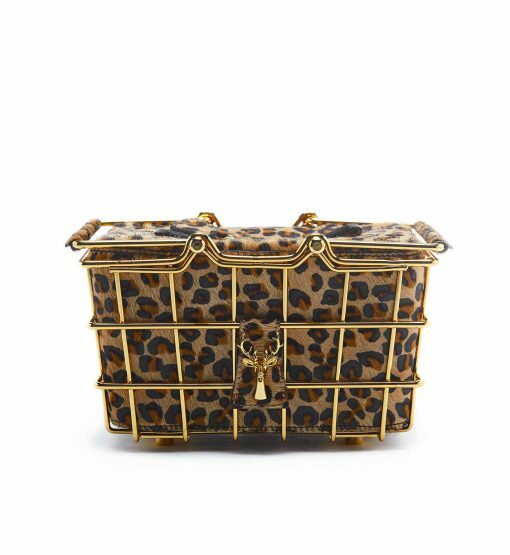 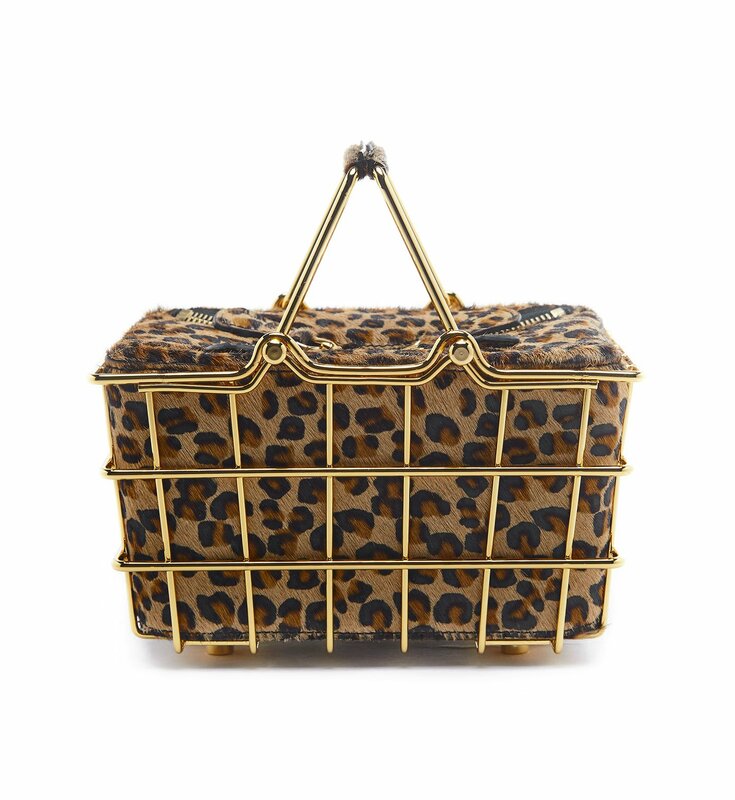 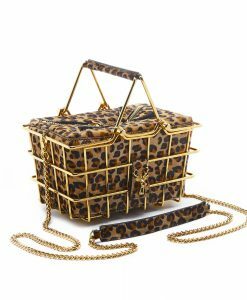 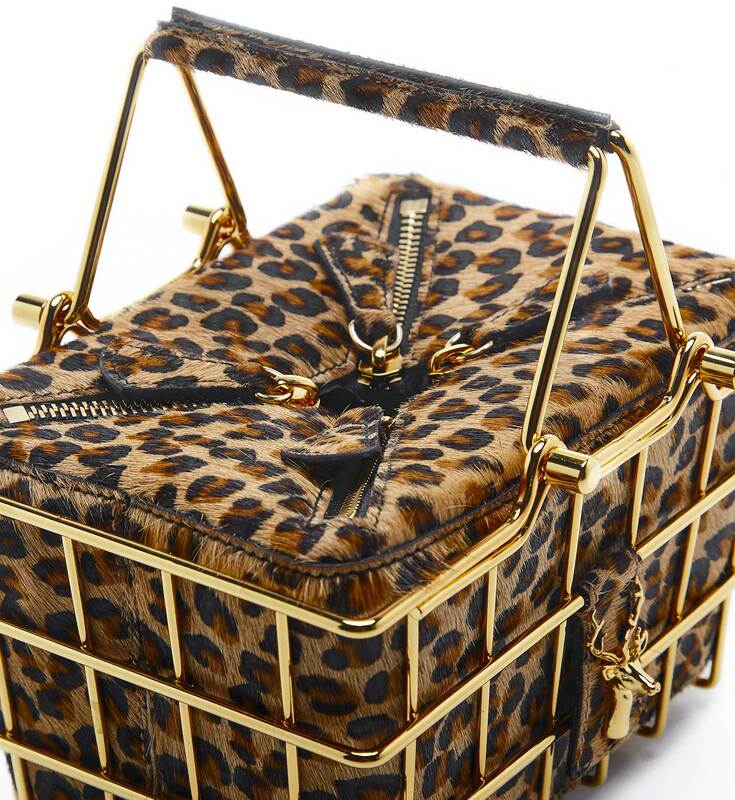 Savas Milano iconic Caroline mini basket bag is updated in versatile leopard print calf hair and embellished with golden hardware. 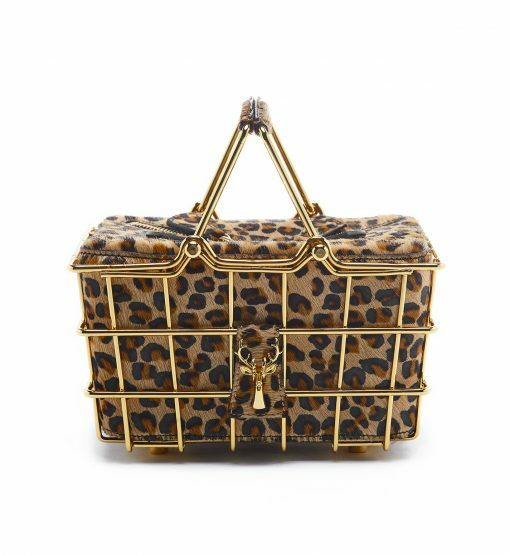 This structured model is perfect for everyday looks and has enough space for your essentials like credit cards, keys, cell phone and make up. There are 4 closure zips on top. 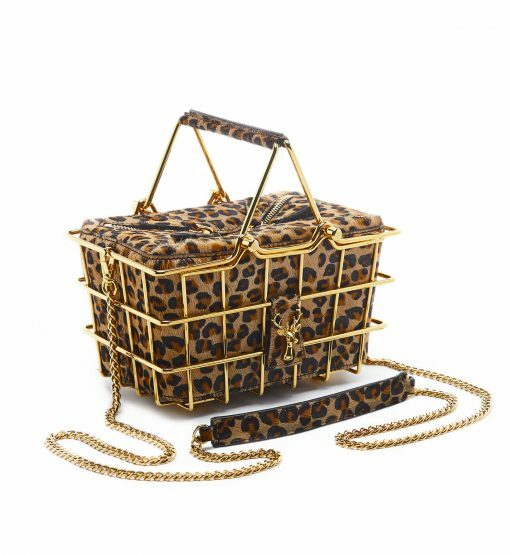 There is also a detachable golden chain for a different style option, you can wear it over the shoulder. Handle drop – 7 cm.